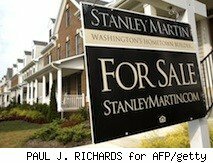 Buyers still waiting for home prices to scrape rock bottom (hint: they will never return to1953 levels) or interest rates to hit zero (I know, it feels like they're headed there) might want to consider that conditions for buying a home are better today than at any time in recent memory. 1. Bargains are abundant, and buyers hold the cards. Home prices have dropped 30% since the peak, and in some states, such as Arizona and Florida, we're looking at the steepest price drops in recent history. The median price nationally for an existing home was $178,600 in August, according to the National Association of Realtors. With the expiration of the federal tax credits for home purchases, competition for low-cost homes has eased considerably. 2. Mortgage interest rates are at record lows. The average rate for a 30-year, fixed-rate mortgage for the week ending last Thursday was 4.19%, and 3.62% for a 15-year-fixed, according to Freddie Mac. In January, the average 30-year-fixed rate was 5.09%; two years ago, rates hovered at about 6%. If you were to purchase a median-priced home ($178,600) at last week's 4.19% rate for a 30-year fixed-rate mortgage, your monthly payment would be $872, according to Bankrate.com. Try finding even a studio apartment to rent for that price in Los Angeles, New York, Boston or Chicago. 3. Hello, tax break. If you itemize your tax deductions, you can deduct the mortgage interest. You also can deduct property taxes and get a break on capital gains when you sell. 4. Most homes increase in value. Yes, we're in an epic downturn right now, but historically, home prices have gone up. In fact, median home values, adjusted for inflation, nearly quadrupled since the first housing census in 1940, according to the U.S. Census Bureau. The median price of single-family U.S. homes climbed from $30,600 in 1940 (adjusted to year 2000 dollars) to $119,600 in 2000. The median value jumped the fastest -- 43% -- in the 1970s, and the slowest -- 8.2% -- in the 1980s. That doesn't include last decade's record housing boom and bust. Still, despite periodic declines, overall, historically prices have gone way up. So if you're looking to stay in a home over the long haul, you're almost certain to see the home's value increase. 5. You can do whatever you want to your home (almost) -- it's yours! Owners don't have to ask landlords to paint the bedroom neon pink or remodel the kitchen. You want that custom closet? Go for it. And if the city permits, add a second story. Recent first-time owner Adam Perkins, of Sherman Oaks, Calif., put it this way: "I'd rather pay $2,100 a month for something I own than something I rent. And the interest on my mortgage is only 4.25%. Beat that!"